One of the not-so-fun things (and admittedly, there are few) about making Spider-Man movies has been sorting out the tangled character rights and licensing deals that, until recently, have kept poor old Spidey out of the MCU. But soon after Sony and Marvel reached an agreement over Peter Parker’s presence in Captain America: Civil War and on, a Venom-focused spin-off was announced. Now, the project had been tossed around for years prior; in fact, Sony made it clear back in 2013 that it intended to cast a wide net for spin-off films, in an effort to establish a Spider-Man galaxy or, you know, universe. But the production is now poised to really take off, as Ruben Fleischer has signed on to direct, with Tom Hardy in the lead role. That comes from Variety, which has been keeping an ear to the ground for updates about the casting process. Apparently, Sony jumped on the chance to have Hardy lead this first foray into an expanded SMU after the Taboo star ditched J.C. Chandor’s Triple Frontier, which still has Channing Tatum attached. 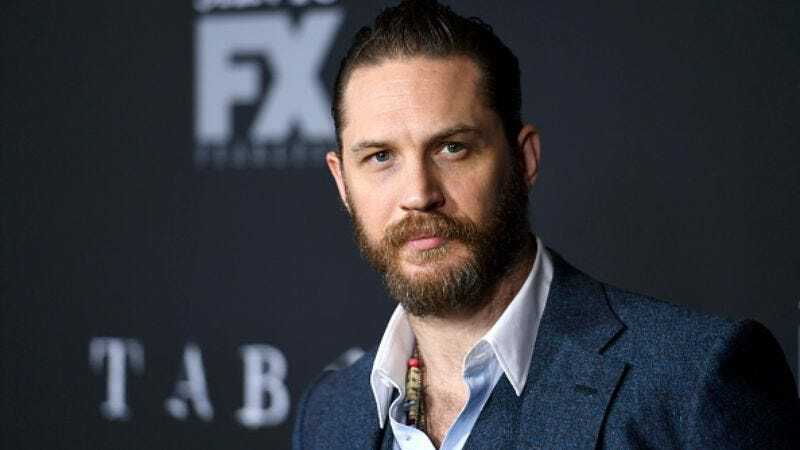 Hardy, who’s reportedly a big Venom fan, will thus make the jump from DC Comics properties to Marvel-based ones, though he’ll hopefully lose the goofy voice distortion thing for the role. Of course, Fleischer and company—including Scott Rosenberg and Jeff Pinkner, who are writing the script—have bigger problems on their hands. They have to figure out a way to introduce the Venom character with nary a trance of the friendly neighborhood webslinger. Venom is set for an October 5, 2018 release date, so they don’t have much time to waste.